On the first of October 2005, Michel Crouzeix retired from his teaching and administrative duties at the University of Rennes 1. On this occasion, Michel's close colleagues wish to honor him with a short international workshop on Functional and Numerical Analysis. For 30 years, Michel Crouzeix has contributed to the life of the French numerical analysis community. 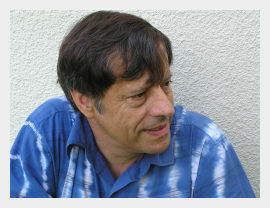 His ideas, often disseminated through international collaborations and the work of his students, have influenced the development of many subjects in the intersection of functional analysis and numerical analysis, from finite element and integral equation methods to ordinary differential equations and evolution equations. This workshop aims to bring together scientists from France and all around the world to discuss these areas. It is organised around 12 invited plenary lectures by international experts, most of whom happen to be collaborators, colleagues, or former students of Michel Crouzeix. The workshop will take place as a continuation of the 38th annual French Numerical Analysis Congress CANUM 2006. Talks will begin on Friday morning and the workshop will end with lunch on Saturday. On Friday evening, there will be an official dinner. Participants of the workshop should plan to arrive on Thursday, June 1 2006, at the VVF "Beg Er Lenn" in Guidel-Plages. They are encouraged to attend the CANUM starting on May 29 2006, (see the other menus on this web site). Also, participants of the Canum are invited to extend their stay until Saturday to attend the workshop. Registration for "Michel Crouzeix Days" uses the same form as registration for CANUM 2006. Please follow this link or use pull down menu item "Inscription" from the menubar at the top and then select "Registration Form".